I have read this Quora answer with 400+ upvotes that claims that Japan surrendered not because they were nuked but because Russians were about to land on their soil and then never leave like they do. What historical evidence is there that the impending Soviet occupation was the cause or surrender? What historical evidence is there that the atomic bombing by the Americans was the cause? If it is neither of these, what were the reasons? This question has been debated for a very long time, and I've never seen a conclusive answer one way or the other. I don't believe there is a single reason Japan surrendered. Rather there was a long series of defeats leading to a war they could not win. Two major blows hammered the point home and a year of even greater insanity (the invasion of Japan) was avoided. The question of surrender was hotly debated for months within the Japanese military and government (really the same thing) prior to the Soviet invasion or atomic bombs, and still debated afterwards. The situation Japan was facing in August 1945 was dire. Everywhere they were in retreat. Everywhere there were shortages of fuel, equipment, and trained men. Everywhere Japanese equipment, once superior or adequate, had failed to keep up with the Allies' pace of development. Unlike the Allies, they didn't have the industrial capacity to recover. The Allies had succeeded with Japan where Germany had failed with Britain: Japan's trade was, effectively, blockaded. It was a distant blockade where ships were sunk in transit rather than close to shore, but it crept ever closer with more and more aircraft joining in. Unlike the Allies, the Japanese never figured out how to defend their sea lanes, curious for an island nation dependent on shipping. US and British Navies and Air Forces had whittled the Japanese merchant fleet down to a quarter of what they had when the war started. Unlike the Allies, they did not have the capacity to build more ships. No merchant navy meant no supplies to or from Japan. No shipments of fuel. No rice from China. No replenishment for their far flung island defense ring. Their population and military would figuratively and literally starve. I have another answer which examines this in more detail. Like Germany, Japan was being "bombed back to the stone age". Unlike Germany, they did not have a strong industrial economy to begin with, and they never performed the same miracles of reorganization to mitigate the bombing and keep production going. While new designs, new ships, new planes, new upgrades, and new tanks were all designed, most never got out of the prototype stage as production increasingly turned to producing enough of what they had to make good on their increasing loses. As production and supply problems got desperate, corners were cut and quality plummeted. In contrast the avalanche of Allied supplies and ships coming at them were of increasing quality and effectiveness. Japan was reliant on imported fuel. With their merchant navy effectively blockaded there wasn't much coming in. Domestic supply was a single digit percentage of what a hungry war machine needs. The fuel shortage was so desperate, they sent the battleship Yamato to defend Okinawa with only enough fuel to get there. The mightiest battleship in the world sent on a suicide mission. It was sunk by the blockade well before reaching its target. No fuel means no fuel for training. This is often not appreciated. Training a good pilot means dozens or hundreds of hours of flying time. Training and working up a ship means sailing around for hundreds of miles with fuel gulping turbines. When there's a fuel shortage, training is the first thing to go. Japanese naval and pilot training went from some of the best in the war to some of the worst in a couple years because of an inefficient training program, and an increasingly dire lack of fuel. Lopsided air battles such as the Marianas Turkey Shoot would be the norm from mid 1944 onward. The Allies demonstrated again and again the importance of training on all theaters as they learned to use the advantages of their own equipment against the disadvantages of the enemy. For example, in skilled hands the Zero is a deadly opponent, but it's a fragile one. Initially it dominated the Allies with its range and maneuverability, but the Allies quickly devised counters, such as the Thatch Weave, and learned to exploit the Zero's weaknesses (lack of armor, weak engine) to fight more effectively with what they had. No fuel means no navy. No navy means no way to conduct offensive operations in the far flung Pacific theater. No offensives means no way to win the war. High performance navy turbines are fuel hungry beasts. Even though the Japanese navy had capital assets available, they had to be husbanded for lack of fuel. While the Allies continuously upgraded their equipment and devised new models, the Japanese ended the war with basically the same equipment as they started with. The Japanese started the war with some impressive technological advantages in the air and at sea, and some breathtaking disadvantages on the ground which were never made good. On the ground, Japanese tanks and rifles were fine against the Chinese, but appallingly bad against what the Allies were fielding. Long, bolt action Arisaka rifles vs semi-automatic M1 Garands. Paper, leather, and cloth equipment that would disintegrate in the hot, humid jungle. Light tanks sporting small guns against the relatively heavily armed and armored Sherman. While better tanks were available, like the Type 3 Chi-Nu, less than 200 were made. Quality problems, inexperience, and Allied air supremacy would have made them little more than a nuisance. In the air they had the Mitsubishi A6M Zero. In skilled hands it dominated early war Allied fighters who had never seen anything so maneuverable. Something to keep in mind about WWII is many air forces were fielding their first all-metal monoplane fighters and thought that was pretty cool. The F4F Wildcat had previously been a pudgy biplane! But while the Zero was top of the line in 1940, it was never upgraded in significant numbers. The Allies got newer and more powerful aircraft. Their existing aircraft got upgraded engines, and more guns. An F6F Hellcat sported a 2000 HP engine to haul around armor, six 50 cal machine guns, and two 20 mm cannon at 330 knots. The Zero had an engine half as powerful which meant it couldn't add armor and armament and still remain competitive. Increasingly unskilled pilots were being sent into battle against increasingly skilled Allied pilots in an increasingly obsolete aircraft. At sea a similar problem, while the US sported new fast battleship and carrier designs bristling with new radar and more powerful anti-aircraft armaments, the Japanese navy basically ended the war with the same navy it started with... just a lot less of it. Unlike the Germans, the Japanese did not place their faith in technology but in the bravery of their soldiers. As such, they had no wonder weapons to give them hope of victory. No dreams of Japanese jets to sweep the sky of Allied bombers. No Japanese super tanks to roam the countryside blasting Shermans. No Japanese super submarines to roam indefinitely underwater and attack Allied shipping. The best they had were kamikaze weapons, and they weren't stopping the Allies. The Second Sino-Japanese War had been going on since 1937 with skirmishes back to 1931. While the Japanese continuously defeated the Chinese, there was still no end in sight. By 1945 they were increasingly fought to a stalemate or defeated by combined Chinese and Allied forces. Even the hope of holding onto territory in China was fading and still draining ever tightening resources. Earlier in the war the Japanese threatened India. Now they were retreating through southeast Asia. Supply lines to China were reopened making the situation in China even worse for the Japanese. Burma had fallen, and Indonesia (aka the Dutch East Indies) was threatened. Indonesia was the major Japanese source of fuel... if they could get it shipped. Without Indonesia, there would be no fuel. With Okinawa captured, the Allies had a large base of operations within just 340 miles of the mainland. This allowed more of their bombers to reach more of Japan with larger payloads. It allowed them to be escorted by fighters. It gave them shorter trips to make more sorties. It gave the US Navy an anchorage close to the mainland for supply, refueling, and repair. This increased the Navy's ability to absorb damage and keep ships on the line. It gave the Allies a huge base to build up troops and supplies for the inevitable invasion of Japan. The Allies were undisputed masters of the air over Japan. With this supremacy they could bomb and strafe troop concentrations, transport, and industry. The Japanese army would be immobilized by the threat of destruction from the air if they left their fortifications. Fortifications, tanks, and artillery could all be destroyed with impunity from the air. And unlike on Pacific islands, they did not have a jungle canopy to hide under. Their one remaining ally, Germany, had surrendered in May 1945. There would be no wonder weapons from Germany. No supplies of know-how and strategic materials. The Allies would no longer be distracted by a fight in Europe, they could turn everything against Japan, and they were. The war started with the presumption that the Allies would not have the will to fight a long, protracted war against dug in Japanese defenses. This was proven wrong again and again. The hope that the Allies would not have the will to invade the home islands and take casualties was an increasingly forlorn one. Watching the Allies fight Germany to the bitter end must have given even the most staunch believers in repelling an invasion pause. Watching them take Okinawa despite fighting to the last, must also have strained the Japanese belief they could stop an Allied invasion. ...the atomic bombs and the Soviet entry into the war are, in a sense, divine gifts. This way we don't have to say that we have quit the war because of domestic circumstances. Japan had one great tactical innovation, if human bombs can be termed so benignly, in late WWII and that was the kamikaze. Using humans as smart bombs meant they could drive home their attack with an accuracy and durability that an untrained pilot in an outdated bomber could not. A diving aircraft with a suicidal pilot could sustain damage that would normally throw a bomber off its course and still reach its target. While this increased the effectiveness of Japanese air forces, it did not deter the Allies. They responded by increasing their anti-aircraft defenses. More radar. More pickets. More guns firing bigger shells to knock aircraft out of the sky rather than simply fill it full of holes. The invention and use of the precious VT (proximity) fuse for anti-aircraft shells made Allied firing even more deadly to increasingly inexperienced kamikaze tactics. And through it all, the Allies kept advancing. What this all adds up to is in August 1945, Japan had no path to winning the war. They didn't have the fuel, equipment, or the training to carry out offensive operations. They didn't have the fuel, equipment, or experienced pilots to prevent the US from bombing them at their leisure. They had no wonder weapons to look to. Even kamikaze tactics hadn't worked, the elan of their soldiers could not stop the Allies. ...but can they end it with honor? Anyone with any sense only saw two glimmers of hope. First, they still held large swaths of mainland China and Southeast Asia, perhaps it could be used as a bargaining chip. Second, Japan held out the hope that if they could deliver one last decisive blow, even if it would not win the war, it might bring them to the bargaining table. That blow might be in defeating an invasion, or making it terribly costly. This was critical because the Allies were demanding unconditional surrender. occupation, disarmament, elimination of militarism, democratic reforms, punishment of war criminals, and the status of the emperor. Japan shall be permitted to maintain such industries as will sustain her economy and permit the exaction of just reparations in kind, but not those which would enable her to rearm for war. To this end, access to, as distinguished from control of, raw materials shall be permitted. Eventual Japanese participation in world trade relations shall be permitted. The occupying forces of the Allies shall be withdrawn from Japan as soon as these objectives have been accomplished and there has been established, in accordance with the freely expressed will of the Japanese people, a peacefully inclined and responsible government. But made it clear what would happen if they refused. But they left the question of what would happen to the Emperor unanswered. Would he be tried as a war criminal for "[misleading] the people of Japan"? Or would he be left alone as part of "a peacefully inclined and responsible government"? While this was being pondered, things started falling apart fast with Japan still debating surrender all the while. Hiroshima was destroyed in a "blinding flash and violent blast" demonstrating what the Allies meant by "prompt and utter destruction". President Truman made this broadcast. The Japanese military knew about atomic bombs. They knew how difficult they were to make. There was some debate whether the US had actually built one, and there was more debate about whether they'd built more than one. Chief of the Navy General Staff Admiral Soemu Toyoda thought the US had only one bomb, that it was a bluff. Early morning on August 9th, the Soviets broke their neutrality pact with Japan set to expire in April 1946 and invaded Manchuria. They rapidly sliced through the once elite Kwantung Army and were moving almost as fast as they could be supplied. It was clear China could not be held. This source of supplies and potential bargaining chip was rapidly melting away giving a new urgency to the surrender debate. They'd be facing the specter of a Soviet invasion in weeks. Japanese defenses were previously concentrated on defending the south and east portion of the home islands, the north and west was considered safe from invasion. Now they also had to defend Hokkaido and the north which had been left understrength and lightly unfortified. Only two divisions defended Hokkaido with defenses facing east. Even a hasty Soviet invasion could overwhelm them. The Japanese were debating surrender with conditions. On one side was a single condition: they keep their Emperor. On the other side was more conditions: that Japan handle their own disarmament, deal with any Japanese war criminals (meanwhile they were destroying as much documentation as they could), and that there be no occupation of Japan. While that debate was happening, the US demonstrated they're not bluffing by dropping another bomb on Nagasaki. A downed US pilot told the Japanese they had 100 bombs, they believed him enough to keep him alive. Unknown to the Japanese, the US did not have any more bombs ready, but the US expected to have another one in a couple weeks and to average about three a month. The point was moot because US bombing and naval shelling was doing a fine job on its own. Truman again made it clear that surrender was the only option. In another late night cabinet meeting, the Emperor finally decides to negotiate for surrender. He cited some specific concerns including the suffering of his people and a lack of faith in the Japanese military to repel an invasion. There are those who say the key to national survival lies in a decisive battle in the homeland. The experiences of the past, however, show that there has always been a discrepancy between plans and performance. I do not believe that the discrepancy in the case of Kujūkuri can be rectified. Since this is also the shape of things, how can we repel the invaders? That basis was unconditional surrender provided it would not "prejudice the prerogatives" of the Emperor. This was transmitted to the Allies. The Allies respond. They continue to refuse to give a straight answer on the status of the Emperor, instead stating he will be subject to the Supreme Allied Commander and that Japan will have a democratic government. From the moment of surrender the authority of the Emperor and the Japanese government to rule the state shall be subject to the Supreme Commander of the Allied powers who will take such steps as he deems proper to effectuate the surrender terms. ... The ultimate form of government of Japan shall, in accordance with the Potsdam Declaration, be established by the freely expressed will of the Japanese people. After an incorrect news report that there was a cease fire, Truman ordered a temporary halt to the bombing to not jeopardize the peace process. Not hearing from the Japanese, and fearing an all-out attack, Truman orders bombing be resumed "so as to impress Japanese officials that we mean business and are serious in getting them to accept our peace proposals without delay." 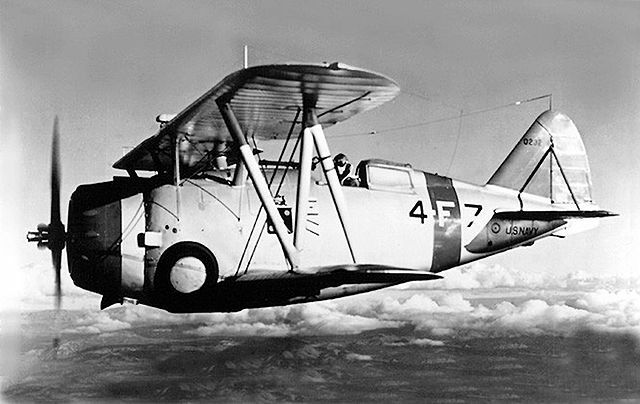 In addition to some of the largest bombing missions of the war, the US 3rd Fleet began bombarding the coast to demonstrate their ability to strike at Japan at will. The Japanese people are facing an extremely important autumn. Your military leaders were presented with thirteen articles for surrender by our three-country alliance to put an end to this unprofitable war. This proposal was ignored by your army leaders... [T]he United States has developed an atom bomb, which had not been done by any nation before. It has been determined to employ this frightening bomb. One atom bomb has the destructive power of 2000 B-29s. This information provided to a people who had been lied to about the war for so long added to the fear the Emperor would be dethroned by a popular uprising. Even then surrender continued to be debated, but the Emperor made his decision. Meanwhile, a military coup was brewing to prevent surrender by the Army. When they read the reply to surrender-with-one-condition proposal stating the Emperor would be made subordinate, the decision was made to go ahead and overthrow the government (not the Emperor). Anticipating this move, many members of the Army swore an oath to carry out the Emperor's orders. Late at night Major Hatanaka captured the Imperial Palace, but failed to gather support. Neither could they find and destroy the recordings of the Emperor's surrender speech to be broadcast, they were hidden in a vault under the palace. Nor did they manage to assassinate the Prime Minister who had been warned just minutes earlier. I have nothing to regret now that the dark clouds have disappeared from the reign of the Emperor. Finally at noon, Tokyo time, on August 15th the Emperor announced Japan's surrender. His speech is a masterpiece of spin. No where does he use the word "surrender" nor accept Japan's responsibility for the war. It's worth reading in its entirety, here's some excerpts. The hardships and sufferings to which Our nation is to be subjected hereafter will be certainly great. We are keenly aware of the inmost feelings of all of you, Our subjects. However, it is according to the dictates of time and fate that We have resolved to pave the way for a grand peace for all the generations to come by enduring the unendurable and suffering what is unsufferable. Having been able to save face and maintain the structure of the Imperial State, we are always with you, our good and loyal subjects, relying upon your sincerity and integrity. While the atomic bomb is mentioned, and there is no mention of the Soviets, this is more a piece of masterful political speech writing to justify a sudden change of policy than to be used as a true list of reasons for surrender. I hope after reading all that I've built up my case why asking whether it was the Soviets or the Bomb that caused Japan to surrender doesn't make much sense. It was a large confluence of factors, no hope of winning the war, facing destruction on all fronts including a revolt at home, and a rapidly crumbling situation. Just as the assassination of Franz Ferdinand did not really cause WWI, neither the Soviet invasion nor the atomic bombs definitively ended the Pacific War. In his answer, Schwern makes an excellent point to explain why Japan was in a hopeless situation and why Japan should have surrendered. He also points to some of the factors which worked against a surrender. None of those really changed with Hiroshima, or Nagasaki, or the Soviet invasion of Manchuria. August 15th was just as hopeless as August 1st. Did the Emperor act unilaterally to set policy or did he reflect a consensus? I would trust neither written documents at the time nor witnesses who came forward after the war to paint an objective picture of that decisionmaking proces. Arguably Japan was a military dictatorship and the Emperor was the head of state, not the head of government. Viewing him that was made it possible to keep him on the throne and to try the generals and admirals. So it was a political necessity for the post-war settlement to diminish his role. The requirement to have generals and admirals as secretary of the army and navy effectively gave both services a veto power over the "civilian" government and over each other. Officers in both services had a habit to disobey orders when they wanted to attack instead. There was no unified chain of command and control. Not the answer you're looking for? Browse other questions tagged united-states world-war-two japan russia nuclear-weapons or ask your own question. By mid-1945, was Japan capable of maintaining the war even in the absence of further direct American attacks? In WWII, what was behind the very early decision to accept nothing but unconditional surrender in 1941-42? Surrender Ceremonies at the End of WW2: What happened after documents signed? Where is signed original Donitz's authorization to German representatives to ratify “Instrument of surrender signed at Berlin”?